If your shares are worth more than £500, please call Deborah Laing at Retina UK on 01280 815900 or email deborah.laing@RetinaUK.org.uk to arrange their transfer. 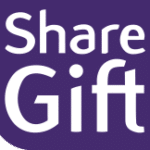 If you have shares which are worth less than £500, you may wish to consider donating them to ShareGift, the share donation charity. ShareGift is an independent UK registered charity (No. 1052686) which specialises in releasing the money locked up in small shareholdings. They collect together small lots of shares until there are enough to sell, and then donate the resulting proceeds to a wide range of charities. To date ShareGift has donated almost £25million to nearly 2,500 charities. ShareGift makes their grants based on suggestions from donors. You can support Retina UK by donating any small shareholdings you may have to ShareGift, and mentioning that you support our charity. We have already received grants totalling £8,000 from the scheme.